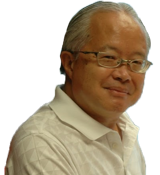 Editor: In 2004, Edwin Sim established Human Capital Alliance, Thailand’s Premier Executive Search & Senior Corporate Advisory Firm. 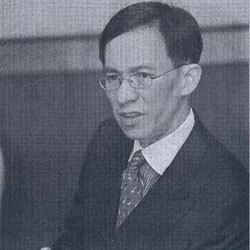 Between 1997-2003, Edwin Sim was Managing Partner of Korn Ferry Thailand. This article was first published in the Nation in October 2000. The upcoming parliamentary elections will be closely observed by country’s large expatriate community and overseas investors. During the past week, major international news broadcasters such as CNN and CNBC have feature numerous regional economists who cited political uncertainly as one of the reasons for the baht’s current weakness. Last week, several influential members of the expatriate community express their views on variety of election issues at round-table discussions. Noted author Chris Baker said that the number of factors made the upcoming elections a landmark event. “Although the resolution of the economic crisis is still on everyone’s mind, the new Constitution’s effect on composition of parliament will be under close scrutiny,” he said. Observers will be analyzing whether the new hard-won Constitution will have its intended effect of shifting the parliament’s balance of power away from old time party bosses who continually swept into government by wining provincial parliamentary seats. The Constitution requires all MPs to have a bachelors degree, which according to some statistics excludes 95 per cent of the population. The new parliament will consist of 500 members, with 400 elected individually via constituencies and 100 selected from party lists. The composition of latter will be based on the number of votes each party receivers. MPs will have to resign their seats if they wish to serve in the Cabinet. However, party list MPs can be replaced without holding by-elections. Drafters of the Constitution hoped that by making it easier for parties to appoint. Cabinet minister from the party list they would encourage them to place potential ministers on their lists, thus showcasing the national leaders each party had to offer. David Nardone, CEO of Hemaraj Land Plc, the owner of industrious estate housing and the new Ford Moters and General Motors assembly plants, said that any government which was elected in the coming election faced a daunting task exacerbated by challenging economic times. “Any group coming in will have to immediately address short-term problems such as debt restructuring, plummeting consumption and social welfare issues that have been lingering for a long time,” he said. Nardone added that any new government had to develop long-term strategies for productivity and education, and oversee the restructuring of the faming and the labour infrastructures. “The coming elections are ground for change, but we all realize that any new government will be constrained by the current extreme economic circumstances,” he said. Edwin Sim, CEO of executive search firm Korn Ferry Thailand, subsidiary of Korn Ferry International, said any new government had to address the globalization issues and its effect on Thailand. “Undoubtedly, all investors want a strong financial sector, but I think the key thing that the foreign multinational investors want is a continuously stable investment, environment,” he said. Author Baker said that the country’s citizens could normally expect reasonably good government immediately after an election. “New governments have a very short window for opportunity to make tough decision.” He said. Prior to the crisis, most borrowers were shamed into paying off their debts. However post-crisis, even with the new foreclosure and bankruptcy laws, many debtors have learnt from other non-paying cohorts that it may take up to a decade for a lender to complete proceeding against them. Countless defaulting borrowers are holding the financial system hostage by refusing to pay and at the same time thumbing their noses at the ineffective legal system. Many high-flying non-performing loan holders are often seen in the society pages flaunting new and expensive baubles. With the onset of globalization and ever increasing competition in trade, all members of the discussion panel stressed that any new government must take education a top priority. Korn Ferry’s Sim agreed that any new government must look for ways to improve educational standards. “Education is a critical element if Thailand wants to complete successfully in the new globalised e-commerce world.” He said. Are power posers better leaders?